Dan gives the big estate a good going over with clay, followed by a machine polish. 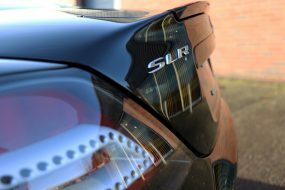 For a relatively new car the paintwork on my car is, quite frankly, shocking. It was a lease car in its former life, and I get the impression the previous owner took great delight in washing it with gravel and a chain-mail sponge. One thing’s for sure, he didn’t use the two-bucket method! 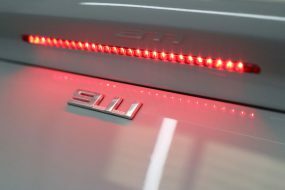 Luckily our sister title Fast Car were testing a fancy Rupes machine polisher, so I borrowed it. But first, I had to prepare the paint! I’d already got hold of a Meguiar’s Smooth Surface Clay Kit which comes with two good sized bars of clay (enough to do a large car at least two or three times, depending on how contaminated the paint is) and some Quick Detailer to ease the clay over the paintwork. It was the first time I’d actually used clay on a car and it was both easy and surprisingly satisfying. I was pretty amazed at how much came off the car, especially the amount of tar on the lower panels. I’ll definitely be claying more often, knowing how much cack was hidden by the black paint. Then it was onto the polisher. 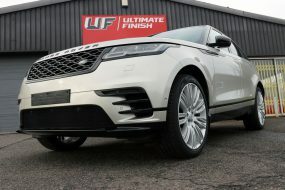 It’s a Rupes LHR 15ES to give it its full name, and is the ‘Bigfoot’ deluxe edition which comes with a sturdy holdall and four different grades of pads and polish – all colour coded for ease. It’s not a budget option, the whole kit costing £489, but if it’s as good as it promises to be, then it’s worth every penny! The actual polisher is well built and sturdy, without being so heavy that it’s uncomfortable to use, and it feels very well balanced making the polishing action quite intuitive. It’s a ‘random orbital’ machine with a 15mm orbit, which is intended to eliminate hologram swirls left by conventional polishers. The random aspect also means that there is much less risk of burning through paint as you can go from panel to panel without having to worry about taping everything up (applying tape to the rubber/plastic trim is still a good idea, if not essential, as it’s a pain to remove excess polish otherwise). As my paint was so poor I went straight in with the most abrasive pad/polish and the results were very impressive. When I’ve got the time I’m going to go back over it with a finer compound, but for now it’s considerably better than it was when I began. The only problem was that it’s highlighted how stone chipped the car is! 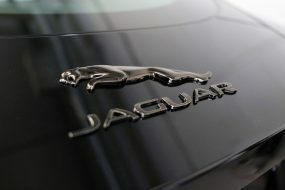 As I finished off with a protective coat of Meguiar’s Ultimate Wax I realised that I really need to consider a respray. 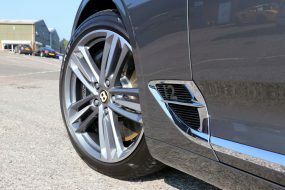 The bonnet is peppered with chips, and, (thanks to the width of the 19S) the rear arch in front of the rear wheels has taken a real hammering. But for now, thanks to Meguiar’s and the Rupes ‘Bigfoot’ the paint does look a damn sight better! Article courtesy of Fast Ford Magazine, October 2013. Fast Ford is the UK’s Best-Selling Ford Tuning Magazine. 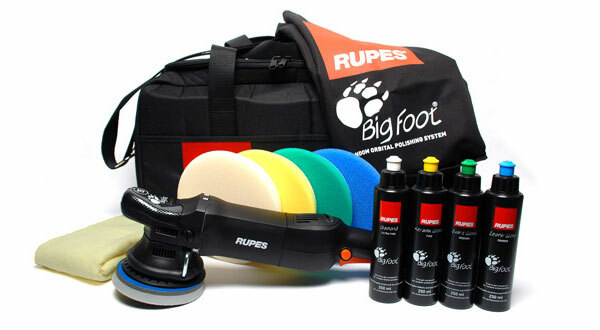 RUPES BigFoot Deluxe Edition Machine Polishing Kit is available From Ultimate Finish.